This is a small starburst quilt, I saw at the Temecula Outdoor Quilt Show, on Saturday. What was suprising about it the half square triangles were not pieced, for these the top fabric was folded in half, and placed on top of the bottom piece. The quilt was very pretty, but left me scratching my head at the extra fabric used. Good fabric is expensive; I hate to see waste. Below is my macro, looking inside one of the many pockets created, using this folding method. Be sure to visit Lisa, to see who else played today. Very cool shots! I would have never thought to take closeups! They used them to hide small items? Nice quilt...I'm with you, waasting fabric is a no no! 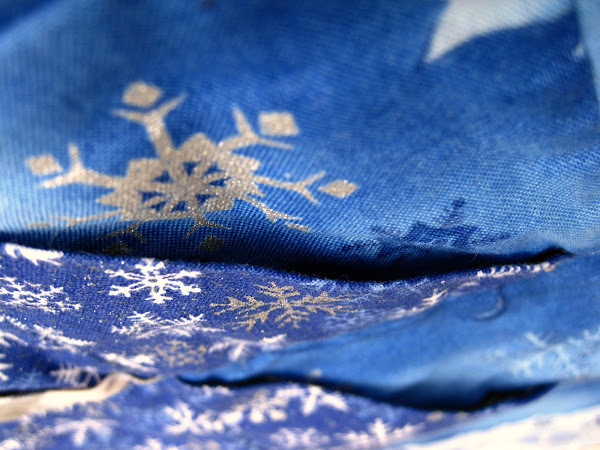 I love the colors and design of the fabric! They seem so appropriate to the quilt pattern. Hmm. I wonder if the maker wanted to create a 3-D effect. The pockets must be used for something. 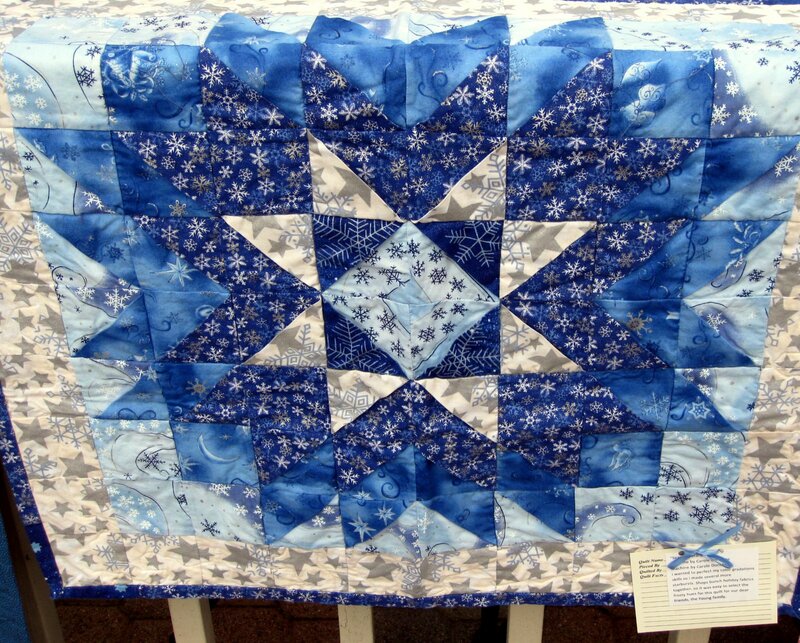 Very pretty quilt piece. Oh, Jan~I wish I had known about the quilt show! But, I had an all-day class Saturday anyway. I'm glad you shared your photos! odd design to be sure. 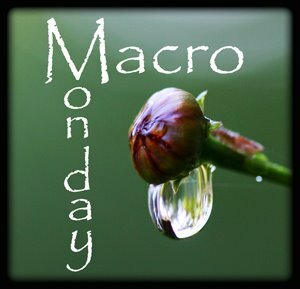 great macro though!! On my gush your quilt is so pretty!! Love it! I do understand your head scratching but I do like the ease of it. Sometimes you have scraps you just want all used up, no? :) Very pretty!